Nyko’s PlayStation 3 Core Controller isn’t anything fancy. Other than the elevated triggers that allow for greater comfort and precision in modern shooters, this wired piece of hardware is largely similar to what Sony’s DualShock 3 has to offer. The buttons are all in the right place, and when you take a bullet or blade to the gut, the controller will rumble violently in your hands. Everything’s here and performs as expected, and while in most cases that may lead to a pretty average product, the comfort and affordable price makes this third-party offering a wonderful option for buyers on a budget. At $19.99, the Core Controller is a responsive, reliable partner to the standard DualShock that’s worth a look for the intuitive position of the triggers alone. Before we dig too deep into the Core Controller, let’s take a look at its understandably short set of features. The attribute that needs to be pointed out right away is the cord attached to the controller. For some, that’s as much as they need to hear before passing on a particular product, but the 9 feet allotted should be plenty for most players. If you own a large TV and enjoy sitting a significant distance away from the screen, the cord’s length could be an issue. Otherwise, being constantly plugged in and never having to worry about a dead battery could be considered a bonus. After plugging in the Core Controller and getting your hands on it, the object’s light weight becomes immediately apparent. It’s comfortable, and essentially feels like any DualShock you’ve ever clutched, but this isn’t exactly something you want to hurl in frustration after suffering a third-consecutive death online. It doesn’t quite feel like it’ll float away, which was an issue in Sony’s early Sixaxis model, but it fails to anchor your hands down like an Xbox 360 controller. As long as you’re not giving it the Vulcan death grip and snapping the thing in two, the remaining features shine. The analog sticks are tight and responsive, while the face buttons never stick or feel too spongy. The triggers, as previously stated, actually feel like triggers. For games like Call of Duty and Battlefield, the prominent buttons are a vast improvement over the positioning of the R2 and L2 keys on Sony’s controller. It also helps that most games allow players to reverse the functions of the shoulder buttons in the options, so customizing the setup to make the triggers work as intended is a breeze. After playing a few rounds of Black Ops II using Nyko’s creation, it’s hard for me to imagine switching back to the old scheme. Is it revolutionary? No, since Microsoft’s triggers are placed in similar locations. But this is a third-party, $19.99 device that’s, in some ways, stronger than Sony’s leading offering. Nyko’s presenting a budget price for a product that, other than its durability, excels in all areas. If you don’t mind being weighed down by a cord, the Nyko Core Controller is a smart, cheap alternative to the DualShock 3. It’s comfortable to grip, responsive across the board and perfect for any shooter sitting pretty in your collection. For the price, there’s little that can compete with this wonderful model. 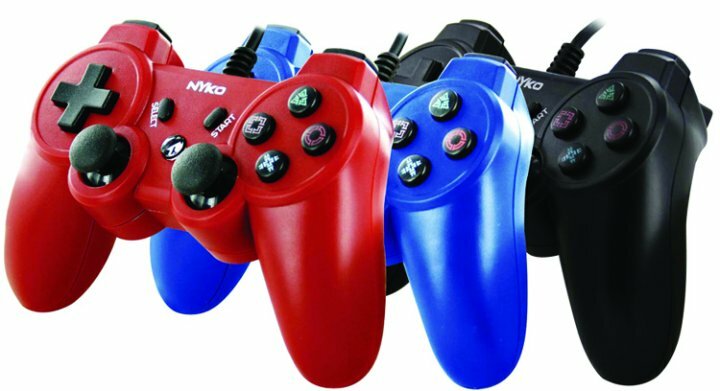 The Core Controller was developed by Nyko. A unit was provided by the company for review purposes.